I spent a great deal of my childhood in the city, Yeoville to be specific. I don’t know if you know but the yards around there aren’t very big, most of my friends lived in flats and even those of us that lived in houses didn’t have very big yards to play in. We spent our days running up and down the street, at the park and on really hot days we went to the public swimming pool – it was probably the highlight of most school holidays. That swimming pool was the perfect wonderland, for my little body, with the brick walls that surrounded the pool area isolating our escape and giving us the chance to go wild for hours. It’s amazing what a game changer a clean pool can be to the party. Little did I know that the best of my childhood days still lingered for me behind the city walls. 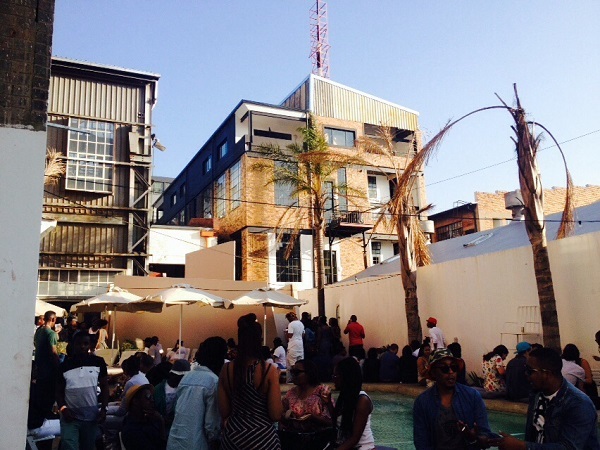 Hidden behind the white walls of the Museum of African Design (MOAD) on Commissioner Street in Maboneng, in the central part of the Precinct, you’ll find the Poolside. 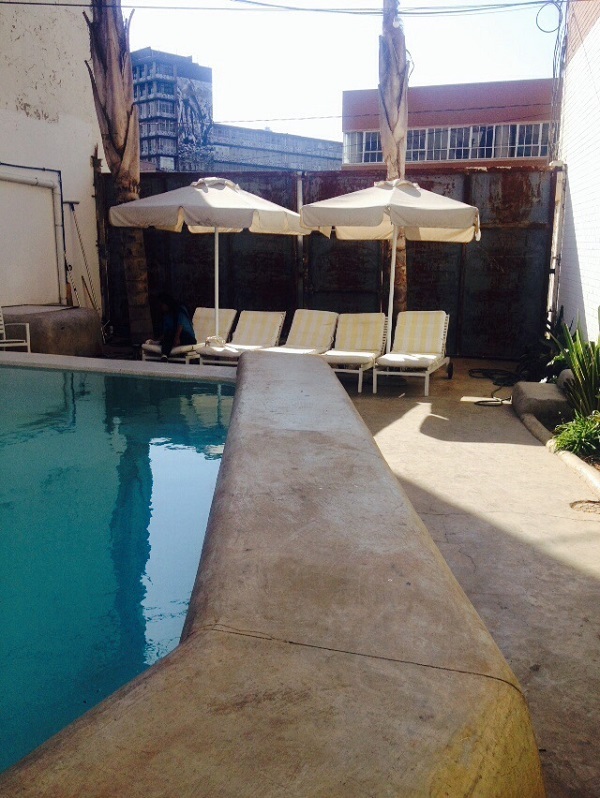 Owner Warren Bokwe built the pool for the surrounding buildings; the idea came about when a space outside of MOAD was made available. The concept of the venue is based on the Italian aperitivo tradition. 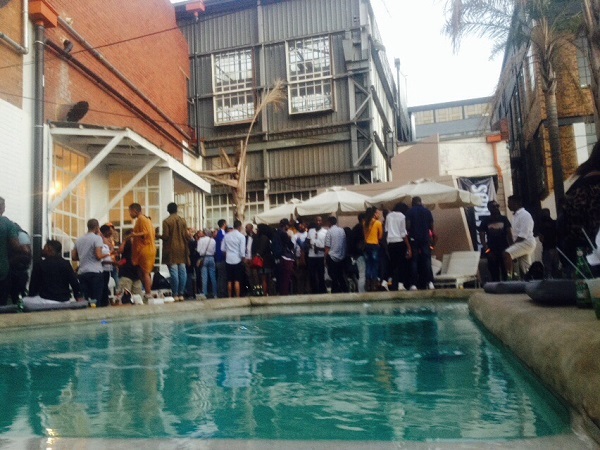 Today the venue has become popular for hosting vibey events throughout the weekend. Available for both private and public functions, the Poolside’s makes for the perfect setting with clear waters adding the perfect finishing touch to every moment there. The fully equipped kitchen and bar offer a comfy space for you to sit back, relax and let your mind wander off. You can feast on a range of antipasto, veg options, cheeses, fresh salads and paninis while you wash it all down with a cider, beer or a classic cocktail. Open from Tuesdays until Sunday, every day is different. 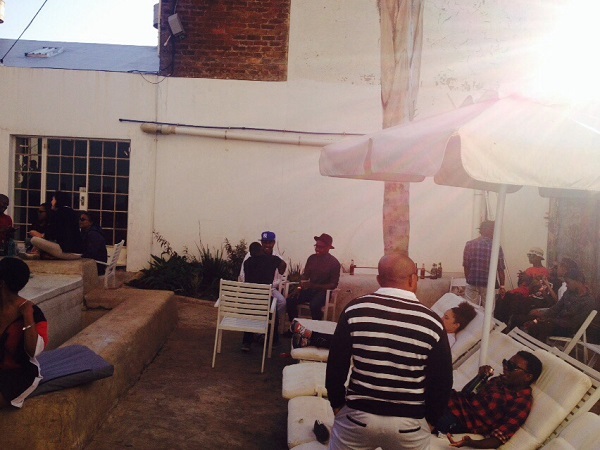 On Fridays, its great for sundowners in the city in the company of local artists and live performances from time to time. On Saturdays the party goes on with different hosts bringing in different acts and stirring a hair raiser, the crowd is usually quite young and the sound waves boast all the latest commercial music mixes. Sundays are different, my favourite day there, the crowd is calmer and the beats are yummy and packed with food for your soul. Even if you aren’t going for a swim, which you are welcome to do, you can find that whimsical childhood joy by the poolside. Just take a deep breath and escape behind those white walls and you’ll see. Pictures taken by Mpumi Mayisa.